Win! Win! Win! Here is your chance to win a Revitalising Face Oil from Aedos. A rejuvenating face oil treatment designed to lift and tone; this is a wonderful offering from the natural skincare brand. I have used Aedos Skincare range earlier and love their products. You can check some of my reviews here, here and here. 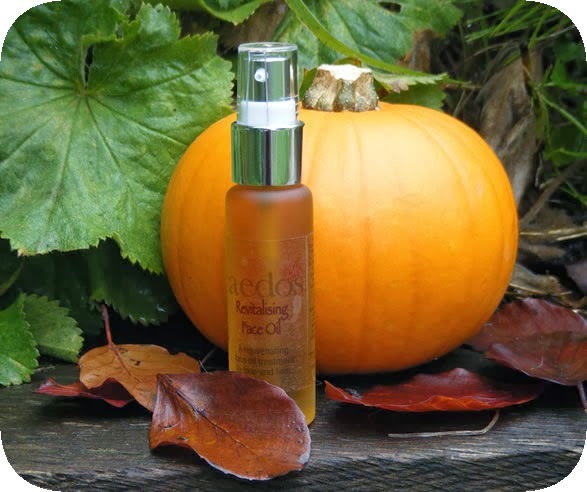 Benefits of the product:- Pumpkin seed oil is renowned for its beneficial effects in the skin. - Rosehip oil helps to even the skin tone. - Crambe seed oil helps the skin to balance its own natural oils. It may also help to minimise the appearance of fine lines. - Vitamin E is a natural anti-oxidant and helps to protect the skin from free radicals. The prize is provided courtesy of Aedos Natural Skincare. To enter for your chance to win, please use the Rafflecopter form below. Giveaway Rules: - This giveaway is open to UK residents only. - 1 winner will be chosen via Rafflecopter and announced on this page. - The winner will be contacted by e-mail within 2 days of competition ending; if they do not respond within 2 days another winner may be chosen. - Your details will be passed to the company, but will not be passed onto any third parties. - The prize will be sent directly to the winners from Aedos Skincare.